"I want to tell my friend Prof. K.T. Shah that his amendment would be absolutely fatal to the other principle which we want to enact, namely collective responsibility. All Members of the House are very keen that the Cabinet should work on the basis of collective responsibility and all agree that is a very sound principle. But I do not know how many Members of the House realise what exactly is the machinery by which collective responsibility is enforced. Obviously, there cannot be a statutory remedy. Supposing a Minister differed from other Members of the Cabinet and gave expression to his views which were opposed to the views of the Cabinet, it would be hardly possible for the law to come in and to prosecute him for having committed a breach of what might be called collective responsibility. Obviously, there cannot be a legal sanction for collective responsibility. The only sanction through which collective responsibility can be enforced is through the Prime Minister. In my judgment collective responsibility is enforced by the enforcement of two principles. One principle is that no person shall be nominated to the Cabinet except on the advice of the Prime Minister. Secondly, no person shall be retained as a Member of the Cabinet if the Prime Minister says that he shall be dismissed. It is only when Members of the Cabinet both in the matter of their appointment as well as in the matter of their dismissal are placed under the Prime Minister, that it would be possible to realise our ideal of collective responsibility. I do not see any other means or any other way of giving effect to that principle. Supposing you have no Prime Minister; what would really happen? What would happen is this, that every Minister will be subject to the control or influence of the President. It would be perfectly possible for the President who is no ad idem with a particular Cabinet, to deal with each Minister separately singly, influence them and thereby cause disruption in the Cabinet. Such a thing is not impossible to imagine. Before collective responsibility was introduced in the British Parliament you remember how the English King used to disrupt the British Cabinet. He had what was called a Party of King's Friends both in the Cabinet as well as in Parliament. That sort of thing was put a stop to by collective responsibility. As I said, collective responsibility can be achieved only through the instrumentality of the Prime Minister. Therefore, the Prime Minister is really the keystone of the arch of the Cabinet and unless and until we create that office and endow that office with statutory authority to nominate and dismiss Ministers there can be no collective responsibility." "Ministers are said to be collectively responsible. This is often elevated by writers to the level of a 'doctrine' but is in truth little more than a political practice which is commonplace and inevitable. Ordinarily, Ministers form the governmental team, all being appointed by the Prime Minister from one political party. A Cabinet Minister deals with his own area of policy and does not normally have much to do with the area of other Ministers. Certainly no Cabinet Minister would be likely to make public statements which impinged on the work of another Minister's department. On a few important issues, policy is determined by the Cabinet after discussion. Collective responsibility means that Cabinet decisions bind all Cabinet Ministers, even if they argued in the opposite direction in Cabinet. But this is to say no more than a Cabinet Minister who finds himself in a minority must either accept the majority view or resign. The team must not be weakened by some of its members making clear in public that they disapprove of the Government's policy. And obviously what is true for Cabinet Ministers is even more true for other Ministers. If they do not like what the team is doing, they must either keep quiet or leave." 81. 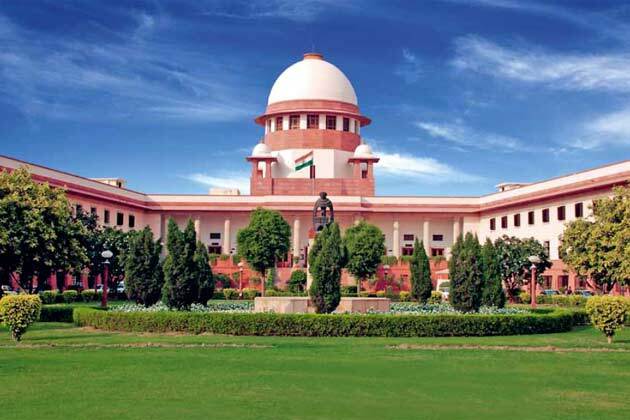 Speaking on collective responsibility, the Court in the case of R.K. Jain v. Union of India and others, (1993) 3 SCR 802 has opined that each member of the Cabinet has personal responsibility to his conscience and also responsibility to the Government. Discussion and persuasion may diminish disagreement, reach unanimity, or leave it unaltered. Despite persistence of disagreement, it is a decision, though some members like less than others. Both practical politics and good government require that those who like it less must still publicly support it. If such support is too great a strain on a Minister's conscience or incompatible with his/her perceptions of commitment and he/she finds it difficult to support the decision, it would be open to him/her to resign. So, the price of acceptance of Cabinet office is the assumption of responsibility to support Cabinet decisions and, therefore, the burden of that responsibility is shared by all. 83. The principle of collective responsibility is of immense significance in the context of ‘aid and advice’ of the Council of Ministers. 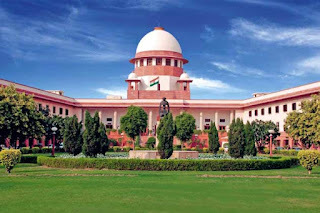 The submission of the learned counsel of the appellant is that when after due deliberation between the Chief Minister and the Council of Ministers a decision is taken, but the same is not given effect to because of interdiction of the Lieutenant Governor, the value of collective responsibility that eventually gets transformed into a Cabinet decision stands absolutely denuded. It is emphatically submitted that if the collective responsibility of the Council of Ministers is not given the expected weightage, there will be corrosion of the essential feature of representative government.